Enter words and clues below. The more letters in common there are amongst your words, the more words will be able to be successfully placed into the crossword. To import words from a wordlist, or to import clues from a paragraph of text, use the buttons on the left. 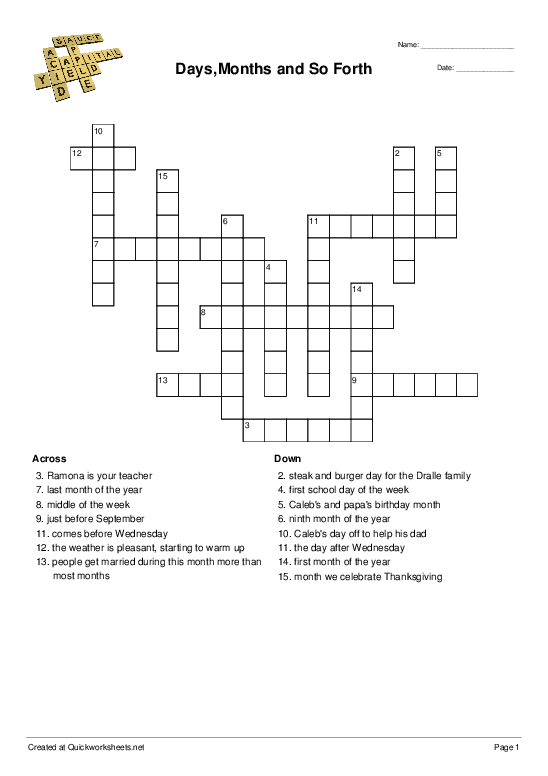 Quickworksheets may not be able to place this many words in your crossword. In multi-word answers, show spaces between words as gray boxes. Show a Word Bank containing all the crossword answers. Tips to ensure crossword and clues fit on one page. "Word by Word Picture Dictionary"